We are pleased to announce the launch of the FG-26HL-10 & -20 series extended die grinders – our new 24,000 rpm extended die grinders replacing the current FG-26HL-1 & -2 series extended die grinders. 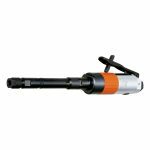 FG-26HL-10 & -20 series Extended Die Grinders inherit features of its well-regarded predecessor, FG-26HL-1 & -2 series, and are the next evolution with focus on power, durability, accessibility and productivity. The new series boasts 20% higher power than the predecessor, and a refined body design which is easier to service. 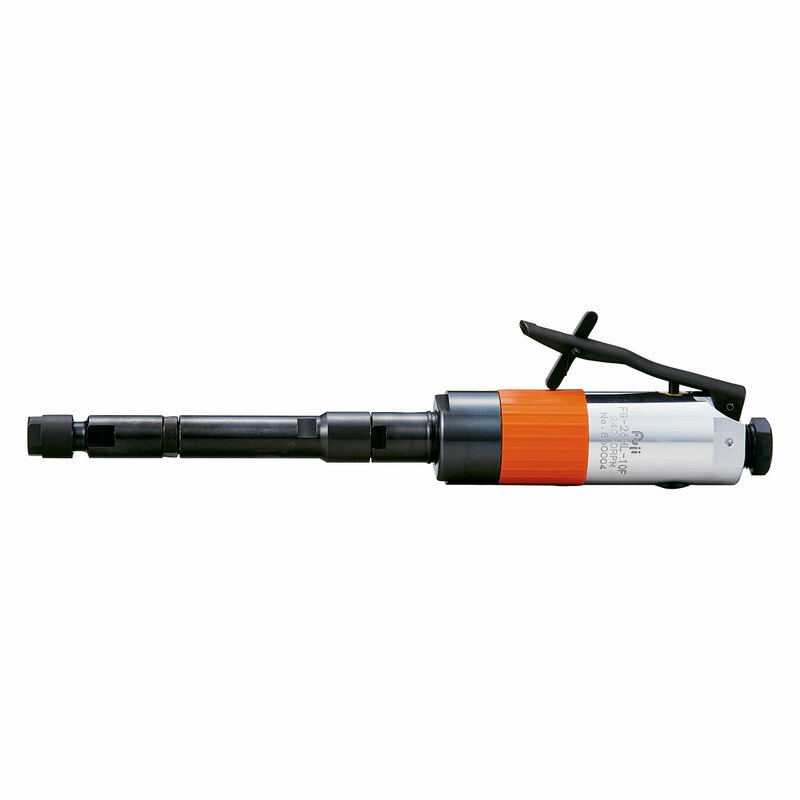 The exhaust port with no muffler pad prevents a power drop even in harsh air conditions. 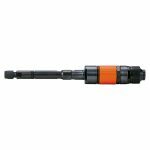 The new series has the same 24,000 rpm high speed, high precision spindle, easy to change, highly durable collet, the same durable aluminum body (FG-26HL-10) or even more durable new steel body (FG-26HL-20) for industrial heavy use. 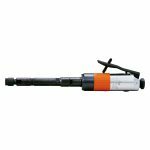 The series gives you the best solution for rough grinding in hard to reach areas for various applications. 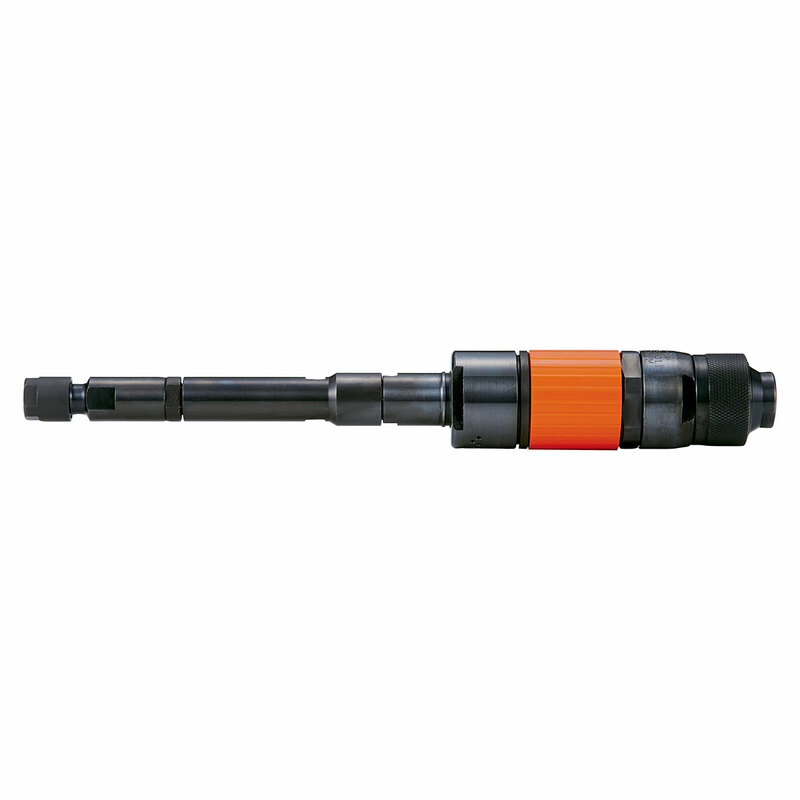 The series is available with two collet sizes (6 mm & 1/4 in. ), three exhaust options, and several throttle types. 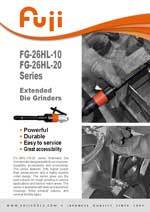 FG-26HL-10 & -20 series extended die grinders are now available for purchase in all market areas. For questions regarding this launch, please contact your local Fuji representative or our marketing department.